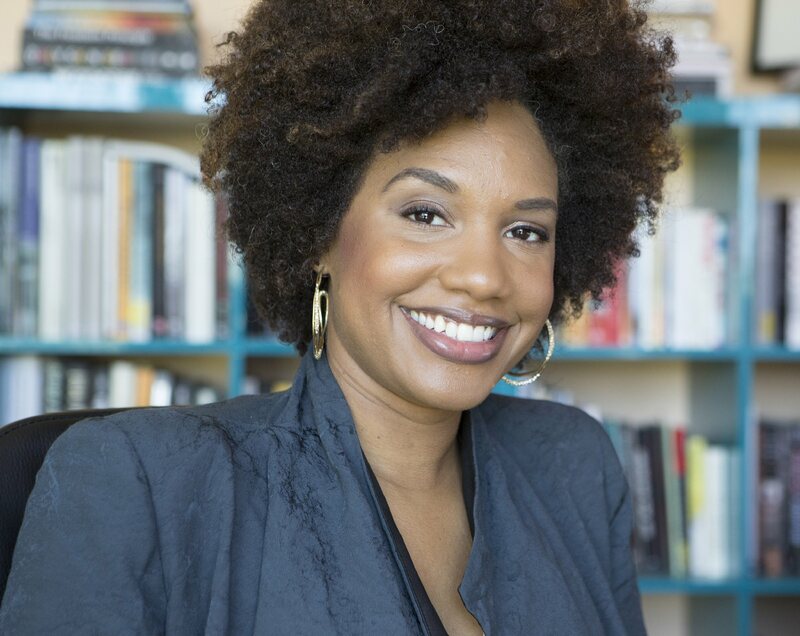 Environmental activist and photographer LaToya Ruby Frazier will present "Flint Is Family," the title of her 2016 project during the water crisis in Flint, Michigan, at 6:30 p.m. Sept. 27, in SUNY Oswego's Marano Campus Center auditorium. OSWEGO — SUNY Oswego’s “I Am Oz” Diversity Speaker Series will open this fall with an appearance by LaToya Ruby Frazier, a photographer and environmental activist who uses her art as a catalyst for social justice. Environmental activist and photographer LaToya Ruby Frazier will present “Flint Is Family,” the title of her 2016 project during the water crisis in Flint, Michigan, at 6:30 p.m. Sept. 27, in SUNY Oswego’s Marano Campus Center auditorium. Frazier will make a presentation titled “Flint Is Family” at 6:30 p.m. Sept. 27, in Marano Campus Center auditorium (Room 132). Doors open at 6. The “I Am Oz” Diversity Speaker Series began in 2014 as a way to create awareness of the many perspectives, experiences and issues that impact communities. Frazier’s appearance also ties in with SUNY Oswego’s two-year “Grand Challenges: Fresh Water for All.” She has actively supported artists in Flint, Michigan, in the wake of the city’s water crisis. “Flint Is Family” is the title of her 2016 project in black and white photography and short films. “Frazier spent five months with three generations of Flint women who both suffer and insistently thrive amid the worst manmade environmental crisis in recent national memory,” wrote Mattie Kahn of Elle.com, which published the artist’s work. Chosen by Ebony as one of its “100-Plus Most Powerful Women of All Time,” Frazier uses her photography and videos to expose America’s post-industrial cities as riven by poverty, racism, healthcare inequality and environmental toxicity. Frazier’s first book, “The Notion of Family” — which explored the legacy of racism and economic decline in American’s small towns — earned the International Center for Photography Infinity Award. Her work has been exhibited widely in the United States and internationally, with solo exhibitions at the Brooklyn Museum, Seattle Art Museum, the Institute of Contemporary Art in Boston and the Contemporary Arts Museum Houston. Her most recent exhibit, “On the Making of Steel Genesis,” is a profile of an artist and archivist of black working-class life, Sarah Gould Ford. Frazier has received the MacArthur “Genius” Fellowship and the John Simon Guggenheim Memorial Foundation Fellowship. Born in Braddock, Pa., Frazier holds a BFA in applied media arts from Edinboro University of Pennsylvania and an MFA in art photography from Syracuse University. She has studied under the Whitney Museum of American Art Independent Study Program and was the Guna S. Mundheim Fellow for visual arts at the American Academy in Berlin. She is associate professor, photography, at School of the Art Institute of Chicago, and has previously held academic and curatorial positions at Yale University School of Art, Rutgers University and Syracuse University. For more information on the “I Am Oz” Diversity Speaker Series, contact the Dean of Students Office, [email protected] or 315-312-5483.